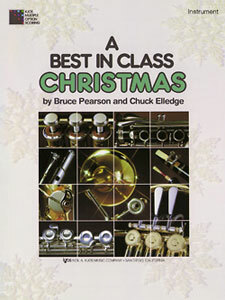 A Best In Class Christmas will make your students’ first holiday concert a joyous occasion! Only seven notes are used throughout the book. With the Kjos Multiple Option Scoring System format, selections in A Best In Class Christmas can be used as solos, duets, trios, or full band arrangements.